map ef4 are twin scroll why ruin a laggy turbo and make it single scroll external waste gate? An EF4 will make upwards of 600 whp and you will be happier with S2. 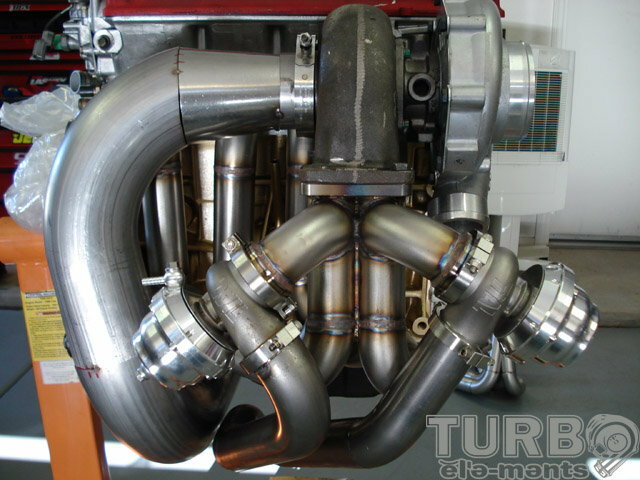 I would run at least a 3.5" core with this turbo. I will look into the cost of a 3.5" core and consider changing it out. Had gotten the 3" free and didn't want to pass it up. I'm in need of some help here. I've been scouring the internet for help on this already, read through almost all 115 pages of this thread. I knew ppl had issues running it from the head but thanks to this thread I saw where it was recommended to run it from the oil filter housing instead. Can anyone provide me with pics showing how to route/install the turbo oil feed line from a EF4 to the oil filter housing on an evo 8 engine? Engine is currently installed in my 98 jdm evo 5 rs. Last edited by dalinkwent; Oct 2, 2018 at 09:18 AM. Reason: Clarifying that help/advice is needed in post. I'm just surprised an EF turbo is still functioning. It's rare, that's for sure, though their older stuff seems to still be going. I had two of the later ones die and lost count of how many times I read about others. It was bad enough they finally gave up on making/rebuilding I wonder what changed. It's a shame, because those guys were pretty cool to deal with. I thought the issue was the supplier for the housings after the mhi supply was discontinued and then the failures started. I could be wrong though. I could believe that. Nobody seems to be able to build anything near MHI quality.